San Marino annually observes Anniversary of the Arengo on March 25. This public holiday commemorates the unique form of government of the country. The Arengo was the assembly, that ruled San Marino from the 5th century AD till 1243. It consisted of the Great families of San Marino, who gathered together to discuss important questions. 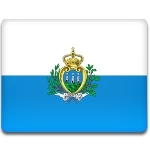 This form of government was unique, since San Marino had no leader or a fixed meeting place. Although the Arengo existed for about 8 centuries, it was cumbersome and crippled by feuds between the Great families. By the 13th century the Arengo became so dysfunctional, that the citizens of San Marino elected an assembly called the Grand and General Council. The new council was so powerful, that the Pope, the nominal ruler of San Marino, proclaimed it to be the supreme body of the state. Institute of the Arengo started functioning again, since the Grand and General Council became more oligarchic. It was convened in 1906 to hold the universal male suffrage.